When I was about 15 we got word that my grandfather was dying. My mother thought it important for us to see him while in the hospital before he died, so we traveled from VA to IN to visit him. I am so thankful that she did that, to see him and hear his last words to me have been a memory I have not forgotten. What he said isn't really important to anyone but me, but they are words that I have always remembered and cherished. I shared that because I think many of us have similar experiences with loved ones last words. So I wondered...what about Jesus's last words. What were they? How have they effected my life? Have they effected my life? Do I remember and cherish them? In Acts 1:8 we find"But you will receive power when the Holy Spirit has come upon you; and you shall be My witnesses both in Jerusalem, and in all Judea and Samaria, and even to the remotest part of the earth." And in Luke 24:46-48 He said to them, "Thus it is written, that the Christ would suffer and rise again from the dead the third day,and that repentance for forgiveness of sins would be proclaimed in His name to all the nations, beginning from Jerusalem. "You are witnesses of these things. "And behold, I am sending forth the promise of My Father upon you; but you are to stay in the city until you are clothed with power from on high." John 15:26,27 "When the Helper comes, whom I will send to you from the Father, that is the Spirit of truth who proceeds from the Father, He will testify about Me,and you will testify also, because you have been with Me from the beginning. Matt 28:19-20 And Jesus came up and spoke to them, saying,"All authority has been given to Me in heaven and on earth. "Go therefore and make disciples of all the nations, baptizing them in the name of the Father and the Son and the Holy Spirit, teaching them to observe all that I commanded you; and lo, I am with you always , even to the end of the age. As I read these verses I am challenged by several things. 1)His words are to ME and all His followers, then and now. 2)He has not asked me to do that which He has not given me the power to do. We have the power of His Spirit in us. We have a Helper and are not on our own. Again, this is not something we must do in our own power. 4)I am to be a witness to Jerusalem, Judea and Samaria. Now that I've been challenged what do I do? 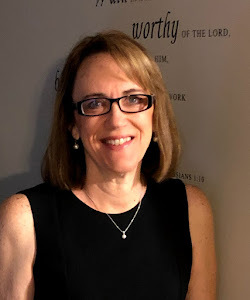 I am a woman who tends to spend a lot of time with those in Jerusalem, because I spend a lot of time as a Women's Ministry Leader with those in the church. Although I would never assume that everyone in church has a personal relationship with Christ. And I'm not saying those in church ministry don't have an important job to encourage, and train up those within their sphere of ministry. But we are also called to go beyond Jerusalem. For me I believe God may be calling me to give time to those in prison. There are so many women who are lost and with out hope in our county prison. I can offer them hope in Christ-why wouldn't I? Because I'm scared, but God is working on my fear and I do believe He asking me to go. I continue to pray it through. Judea and Samria will be different for everyone. Some will be called to go to Africa, China or the utter most parts of the earth. Some will be called to stay and be witnesses to their neighbors, co-workers, those in their cities etc... 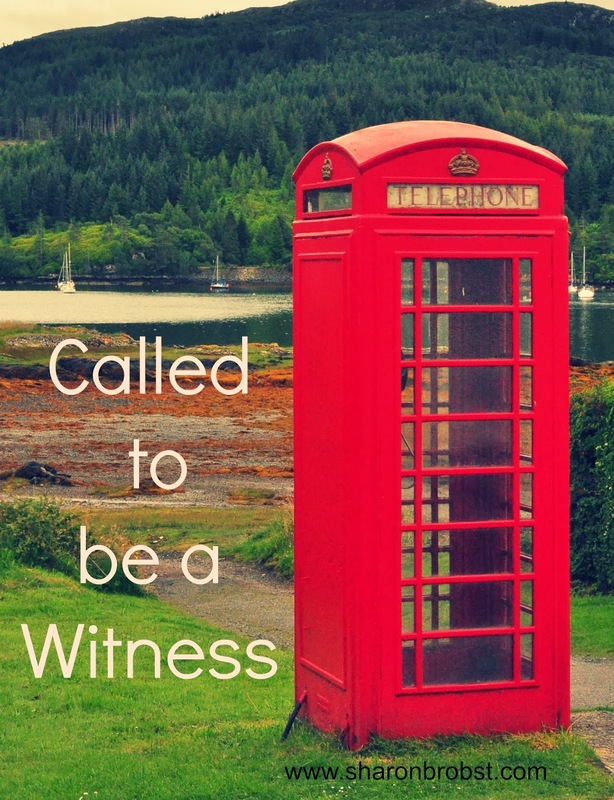 The important thing to remember is that we are CALLED to be witnesses. We are CALLED to proclaim HIS name! All His disciples are called to be witnesses, to proclaim His name and to share the gospel. Today our pastor shared something that really stuck with me. While John Livingstone was a missionary it was said about him "Had I spent more time with him I might have BELIEVED, and he didn't even say a word." What did that mean? John Livingstone was a witness through his life, by the way he lived. He wasn't shouting in the street, he was just living his life so that others might see Jesus through him. That spoke volumes to me. How do others see me? What kind of witness am I for the gospels sake. I never want to do anything that might dishonor His name or hinder another from knowing Christ. I want to live a life so that my Father's image might be seen through me. I want to be a witness for Him. I then must constantly ask myself "how is my witness?" Am I a witness to my Judea and Samaria? I need to remember I have the power (all the power) of the SPIRIT living in me. There is no reason to fear, God is with me. I heard a message before about how important last words are and what Jesus said in his last words. It really struck me. Good post - especially for today! I have read this post over a couple of times too. It is really good! Very convicting and I love to be convicted (i know it sounds strange) but I just love to get a chance to grow for the Lord. Like you, I wish I could be instantly perfect for Him.